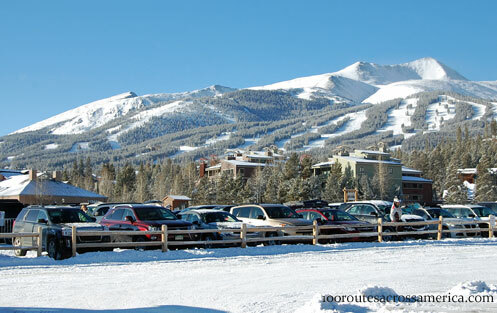 As we rode the shuttle from town into the back woods just outside Breckenridge, Colo., I couldn’t stop staring out the window and shaking my head. “It’s just so gorgeous here,” I kept saying. While lurking on a ski forum, my husband discovered the locals refer to tourists as “gapers.” Because we walk around gaping all day. But, seriously, when this is your view, how can you not be a gaper? We arrived at our destination: Good Times Dog Sledding Adventures. Ushered in to the cozy registration area, we were met by friendly faces and offers of hot cocoa. Then it was time to get suited up. We came dressed as if it were a day on the slopes. Good Times supplies snowsuits and boots to keep you warm during sledding. We headed out to the sledding trail. The dogs were barking excitedly, almost leaping – chomping at the bit to get a move on. They seemed like a bunch of little kids whose parents told them they have to wait 30 minutes after eating to swim. I could see these beautiful Siberian Huskies couldn’t wait to go. But wait they did, as each group got the chance for a photo with them. Our guide, Tim, was a fountain – no, a geyser – of energy and information, introducing us to each dog and giving us the facts about their age, personality, strengths, and rank in the pack. 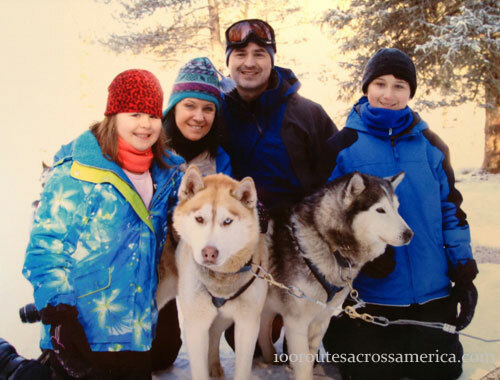 We were given simple instructions on mushing and controlling the sled, then we were off! 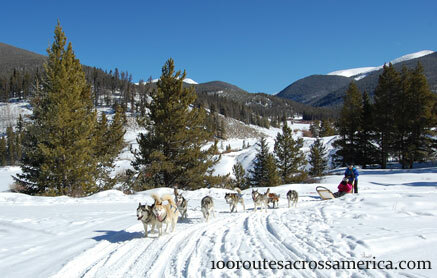 One person acted as the musher, one person rode in the sled, and the rest of us watched from a sled pulled by a snowmobile ahead of the dogs. Every five or 10 minutes, Tim would stop to switch mushers and riders so everyone had several opportunities to drive the sled. Tim knew every twist and turn of the 6-mile route and advised us on what sections would be easiest for the kids. 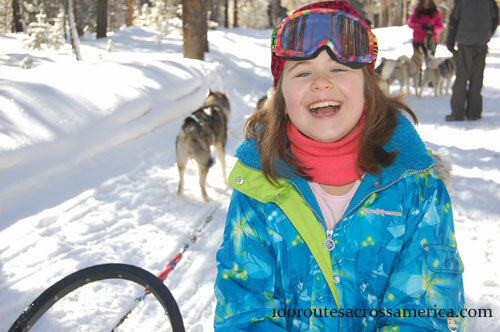 He even convinced my hesitant 8-yr old daughter to try mushing solo. And she loved it. He drew us all in with his knowledge about how much the dogs eat (they actually require less food than other breeds of dog), how they train (only at night when it’s colder), and the temperature at which they are most comfortable (they train best when it’s below 20 degrees F). After sledding, I talked a bit with Tim. He told me how he started as an instructor and loved it so much that he bought his own dogs. He’s raised them as a race team for seven years. And he lives in a cabin in the woods with no running water or electricity. He did admit to having a small generator for heat, but in the winter he hauls the water he needs for 4 miles. In the summer, there is a spring nearby his cabin. It’s him and the dogs and nature. Tim inspired us and made our day a wonder-filled adventure! The entire experience lasted a couple of hours and was an ideal off-day during our ski week. 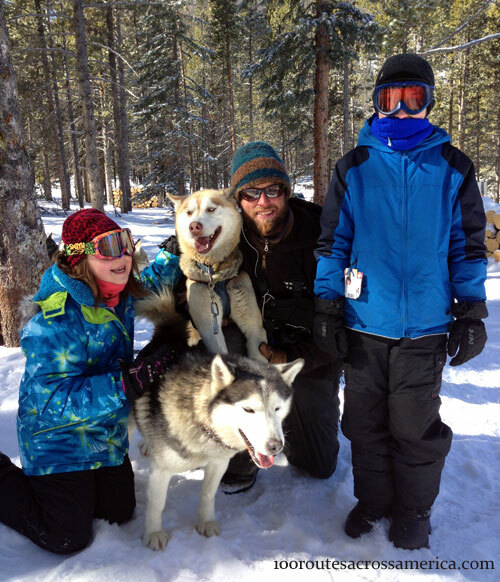 Thanks to the Breckenridge Resort Chamber for arranging our dog sledding experience. Opinions expressed here are completely my own. Thank you Liz! It was a fabulous experience – we can’t wait to do it again. That looks like SO much fun! Nice that they supplied snowsuits and boots. To funny! So that is what I was few weeks ago, a gaper! Couldn’t stop looking and shaking my head! It was my decision trip to Colorado, and I just could not decide against it. Such beauty every single day, it is like a dreamland. I love your pics! Inspired! Your visit sounds like it was wonderful. What a great experience! Love the pic of your daughter – she’s having so much fun! We went dog sledding in Québec on my birthday a few years ago and had such an incredible time – can’t wait to do it again! I think my favourite part was watching how excited the dogs got before they had their chance to run!